MIDDLETOWN, Ohio -- Rumpke workers are picking up a little extra this week. 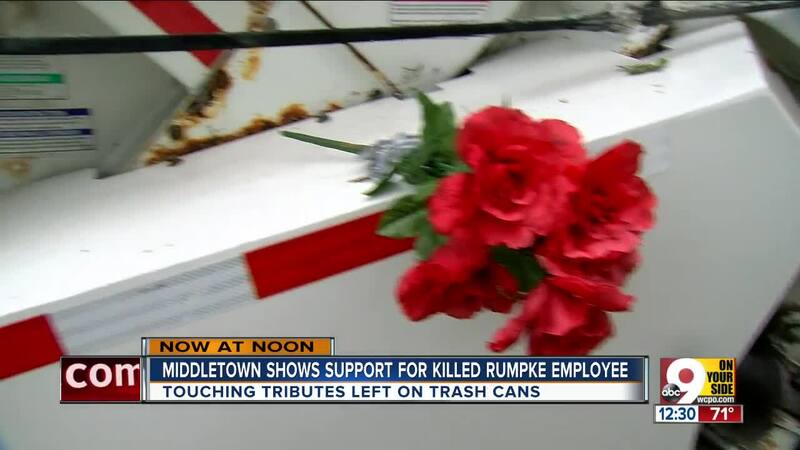 Residents are setting flowers, gift cards, goody bags and balloons atop their garbage cans this week to offer condolences and honor the Rumpke worker killed in a crash Monday. David J. Evans, 52, was killed along his morning route when a driver hit him as he was loading trash into the back of his truck. A medical helicopter took him to Miami Valley Hospital, where he was pronounced dead. He'd worked for Rumpke for 15 years. 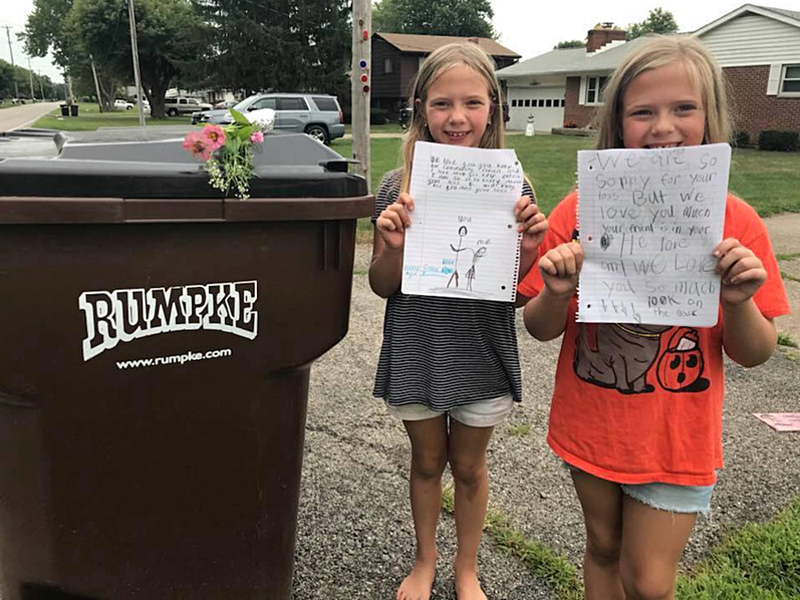 Sisters set out flowers and thank you notes for Rumpke workers. Photo courtesy of Patty Dane. "It's gut-wrenching, honestly. Our first thought is our driver, our driver's family," Rumpke safety manager Bridgett Biggs said. “You lose a brother, one's down, it hits everybody you know,” Eggers said. Since Evans’ death, Eggers has received tokens of appreciation and thank you letters from total strangers. “Some people that left notes, I've never even met them,” Eggers said. “That means a lot." Roses left on lids of trash cans now adorn the back of Eggers’ truck, a reminder that someone cares, and that Evans will never be forgotten.